For the last 7 years James Hardie® Fiber Cement Siding has place First Place for “Return on Investment” when compared against all other typical home improvement projects. Especially in Denver’s varied climates, James Hardie® Siding is an excellent home improvement choice. 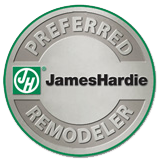 Scottish Home Improvement is a leading Denver installer of James Hardie® Fiber Cement Siding. We work with fiber cement products because we strongly believe in the quality of the material and its ability to increase the value of our client’s homes. Fiber cement siding gives you a better return than adding a bathroom! 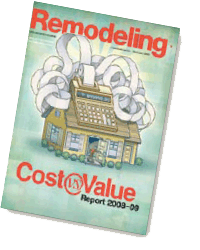 Remodeling Magazine has published the Cost vs/ Value report since 1988 to measure which home improvement projects have the highest direct return on investment for home owners at time of resale. James Hardie® Fiber Cement Siding has won for the past 7 years straight (2004-2011).